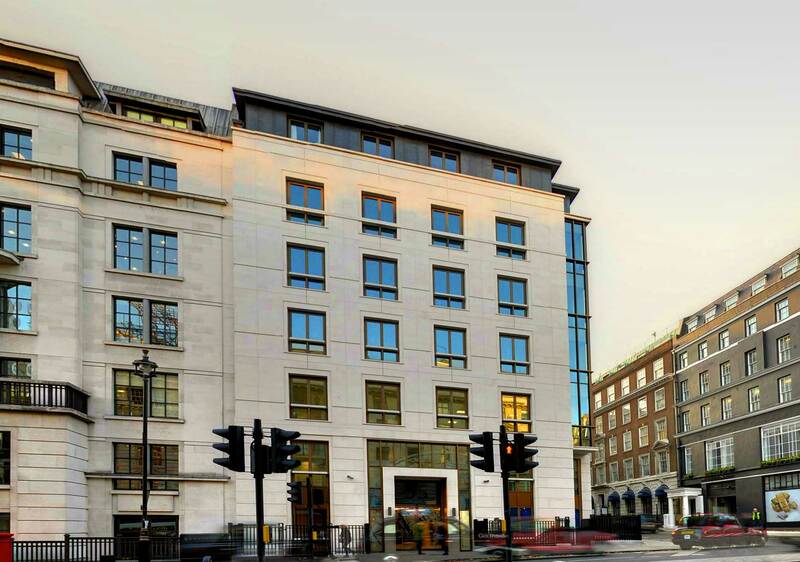 The entrance of 55 St James’ street is framed by a backlit glass screen featuring images that capture the history and character of the site. 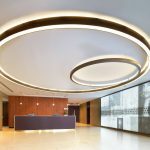 The entrance is set off by two large and distinctive lighting features created by Spectral. 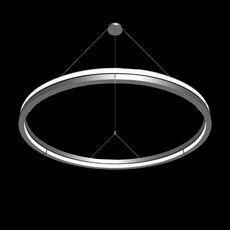 The main 5.9m diameter ring was made using Spectral’s new H-PROFILE 140 extrusion and features an opal diffuser for direct lighting and L-TUBE segments in the top for the indirect component. 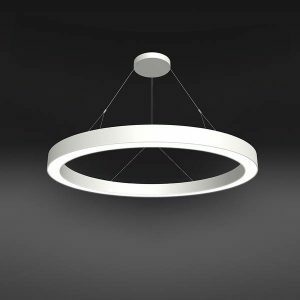 This meant one single fixture was able to cover a vast area as well as creating an interesting halo effect. Fittings are controlled via DALI with discrete control between direct and indirect, enabling the creation of different mood scenes. 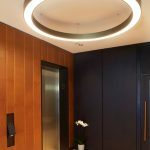 Moving further into the building, a single 1.4m diameter Stora-LK ring is used to illuminate the lift lobby, creating another focal point. The design of the space was done by EPR Architects with assistance in the lighting design and concept from Miles Pinniger. 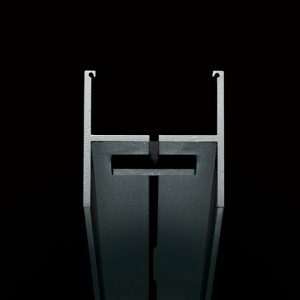 Spectral had the manufacturing ability to realise this concept.